To tell about the British family, British character, British traditional food and British leisure; to help pupils to learn interesting and useful information for their language education in an easier way. made a multi-media presentation to show the audience the main aspects of the work. 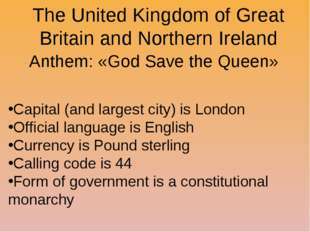 The United Kingdom of Great Britain and Northern Ireland (known as the United Kingdom, the UK, or Britain) is a sovereign state located off the northwestern coast of continental Europe. It is an island country. It is the greatest country, which have own traditions and features. The British, citizens of Britain, have also own features such as clothes, food, sport and others. So, let’s talk about these features. A typical British family used to consist of mother, father and two children, but in recent years there have been many changes in family life. 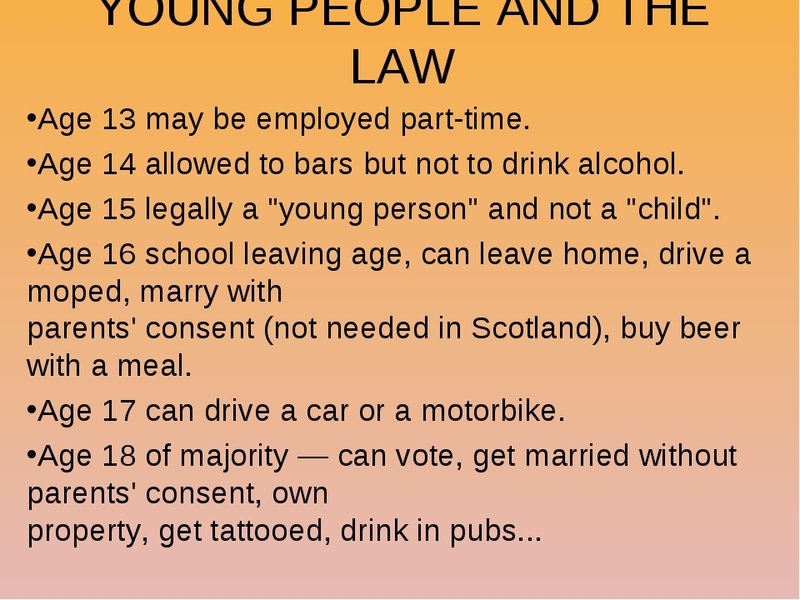 Some of these have been caused by new laws and others are the result of changes in society. For example, since the war made it easier to get a divorce, the number of divorces has increased. In fact one marriage in every three now ends in divorce. This means that there are a lot of one-parent families. Society is more tolerant than it used to be of unmarried people, unmarried couples and single parents. Another change has been caused by the fact that people are living longer nowadays, and many old people live alone following the death of their part­ners. As a result of these changes in the pattern of people's lives, there are many households which consist of only one person or one adult and chil­dren. You might think that marriage and the family are not popular as they once were. However, the majority of divorced people marry again, and they sometimes take responsibility for a second family. Members of a family: grandparents, aunts, uncles, cousins — keep in touch, but they see less of each other than they used to. This is because people often move away from their home town to work, and so the family becomes scattered. Christmas is the traditional season for reunions. Although the family group is smaller nowadays than it used to be, relatives often travel many miles in order to spend the holiday together. In general, each generation is keen to become independent of parents in establishing its own family unit, and this fact can lead to social as well as geographical differences within the larger family group. The most common type of household in England, Scotland and Wales to­day is two people, either married or living together, without children. Twenty-seven per cent of households consist of people who live on their own. Men often live on their own after getting di­vorced, whereas women often live with the children. Nowadays, nine per cent of families are lone parents with children. Women are usually the head of this type of household. Just over 17 per cent of families with children are headed by single mothers, with about one per cent headed by a father1. 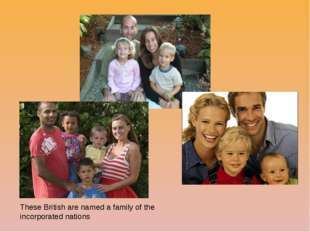 The image of the traditional British household in the 1950s was a large family (with three children). 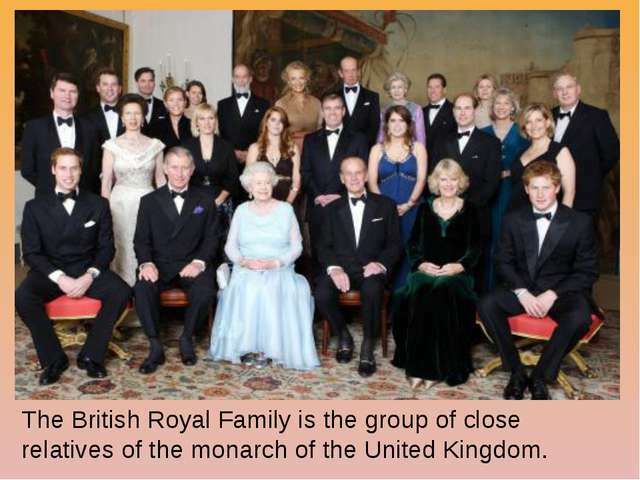 Nowadays, only seven per cent of British families consist of five or more people. 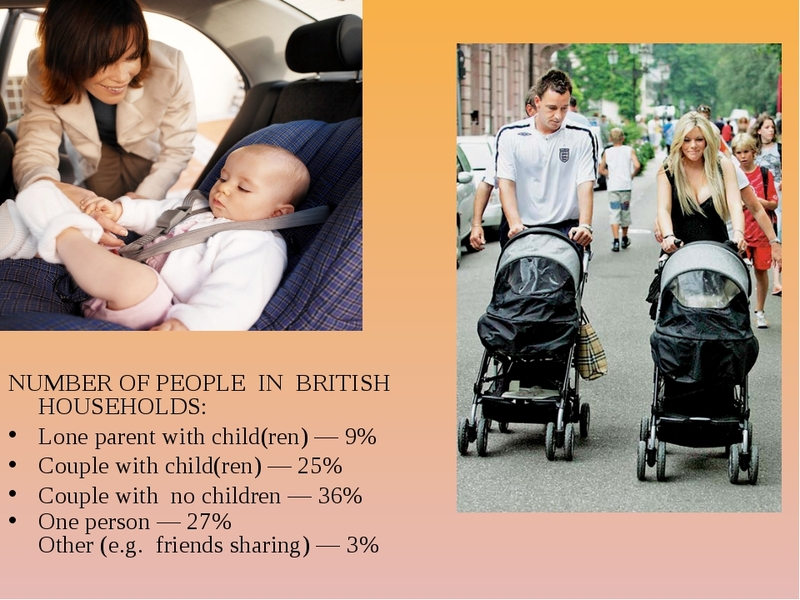 The average British couple today has only 1.8 children. Nowadays the stereotype of the average British family is as follows. The average British family lives in a semi-detached house with a garden in the south of England. They own their house, which is situated in the suburbs of a large town. The house has three bedrooms. On average they have two children and a pet. The family drives a two-year-old Ford Cortina. He works in the office of an engineering company for 40 hours a week and earns £200 per week. He starts at 9.00 in the morning and finishes at 5.30 in the evening. He goes to work by car, which takes him 20 minutes. He doesn't particularly like his job, but there are chances of promotion. She works in a service industry for three days a week and earns £95. She works locally and goes there by bus. She quite likes her job as it gets her out of the house, she meets people, and it is close to the children's school. THE INDIVIDUAL AND THE FAMILY Relationships within the family are different now. Parents treat their children more as equals than they used to, and children have more freedom to make their own decisions. The father is more involved with bringing up children, often because the moth­er goes out to work. 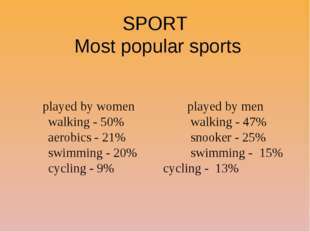 Increased leisure facilities and more money mean that there are greater opportunities for the individual to take part in activities outside the home. Although the family holiday is still an im­portant part of family life (usually taken in August, and often abroad) many children have holidays away from their parents, often with a school party or other organized group. 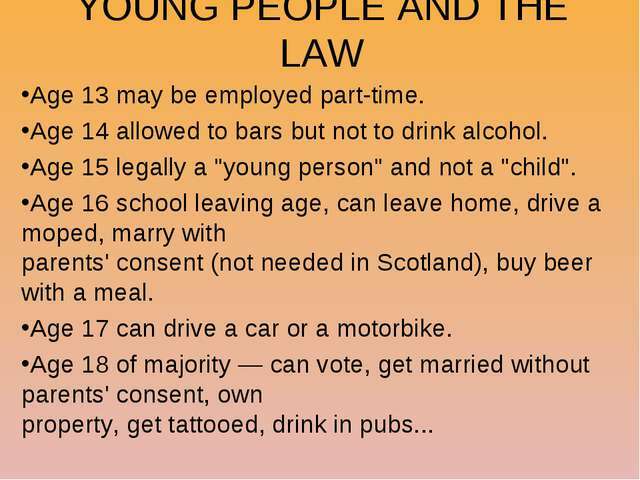 WHO LOOKS AFTER THE OLDER GENERATION? There are about 10 mil­lion old age pensioners in Britain, of whom about 750,000 cannot live entirely independently. The government gives financial help in the form of a pension but in the future it will be more and more difficult for the national economy to support the increasing number of elderly. At the present time, more than half of old people are looked after at home. Many others live in Old People's Homes, which may be private or state-owned. The British are said to be polite and well-mannered people. Polite words or phrases such as «Please», «Thank you» and «Excuse me» are used very often in Britain. Queuing is a national habit. At bus stops and cinemas, in shops, banks and post offices and in lots of other places you'll have to join the queue and wait for your turn. "An Englishman, even if he is alone, forms an orderly queue of one," said George Mikes. 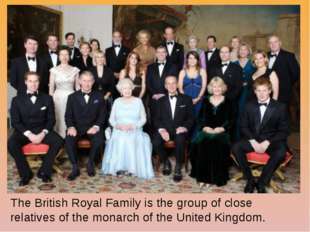 The British are said to be reserved. They don't like displaying their emotions even in dangerous and tragic situations. But they are not unemotional. They control their emotions because they are taught that it is best not to show their feelings. The English hardly ever lie, but they don't tell you the truth either. English people take everything with a sense of humour. You can easily offend them if you tell them they have no sense of humour. Englishmen tend to be rather conservative, they love familiar things. They are proud of their traditions and carefully keep them up. Britain has more living symbols of its past than many other countries. 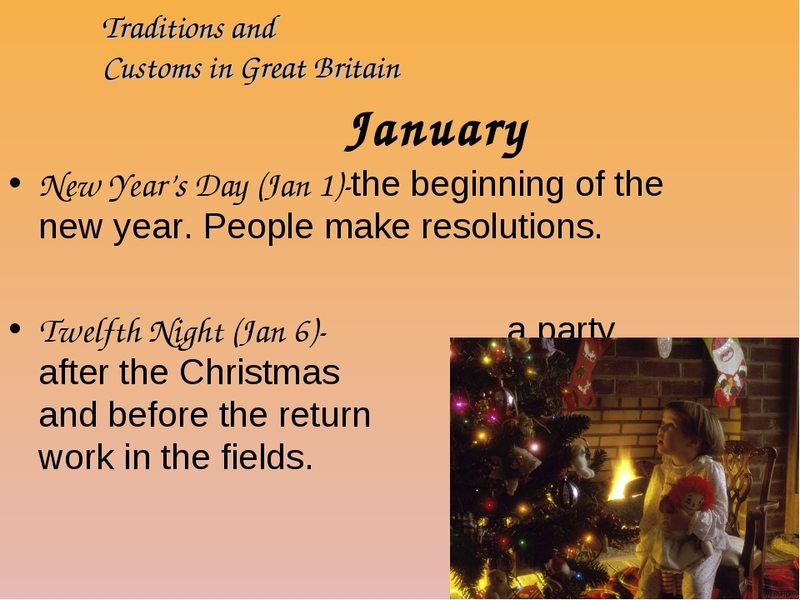 Traditional uniforms are still preserved in Great Britain. There are also a lot of traditional ceremonies such as the "Changing of the Guard" at Buckingham Palace, «Trooping the Colour», which is performed on the Queen's official birthday, or the "Ceremony of the Keys", that takes place every night at the Tower of London. 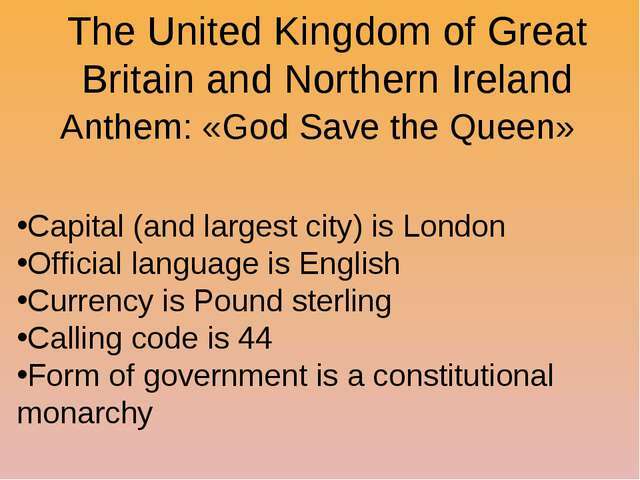 The English are practical and realistic, prudent and careful about almost everything. Everything is orderly: the lawns and the trees are neatly trimmed. Every Englishman is said to be a countryman at heart. The English countryside is many things to many people. It means peace and quiet, beauty, good health and no crime. Most Englishmen love gardens. Gardening is one of the most popular hobbies among Englishmen. They usually prefer a house with a garden to an apartment in a modern block of flats. The British people are considered to be the world's greatest tea drinkers. They drink it at meals and between meals. The English tea is usually strong and with milk. The British love animals very much. Millions of families have "bird-tables" in their gardens. Nearly half of the households in Britain keep at least one pet. The English take good care of their pets. They are pet lovers. There are certain stereotypes of national character which are well known in Britain. 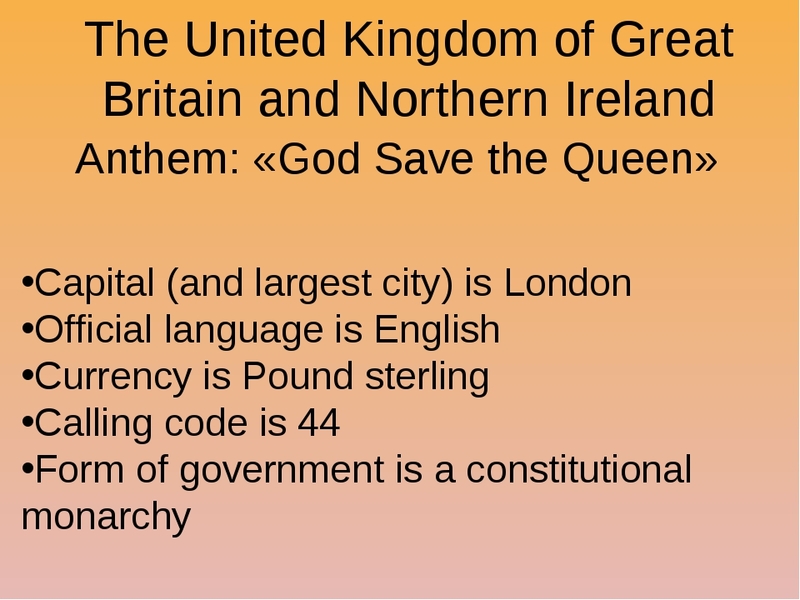 For instance, the Irish are supposed to be great talkers, the Scots have a reputation for being careful with money, the Welsh are renowned for their singing abilities, and the English are considered to be reserved. 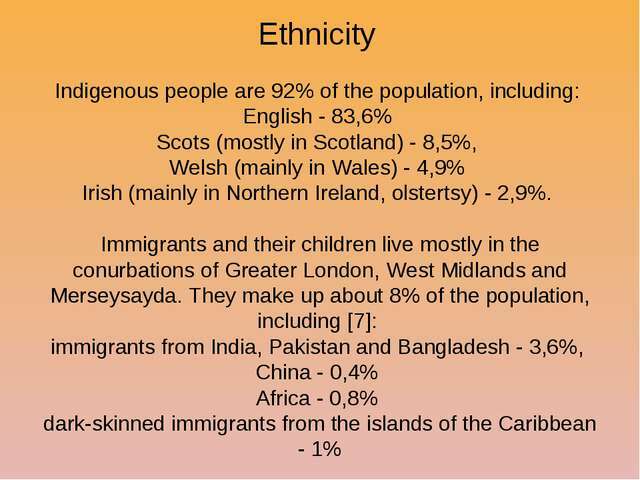 These characteristics are, of course, only caricatures and are not reliable description of individual people from these countries. British people give a relatively high value to the everyday personal contacts. 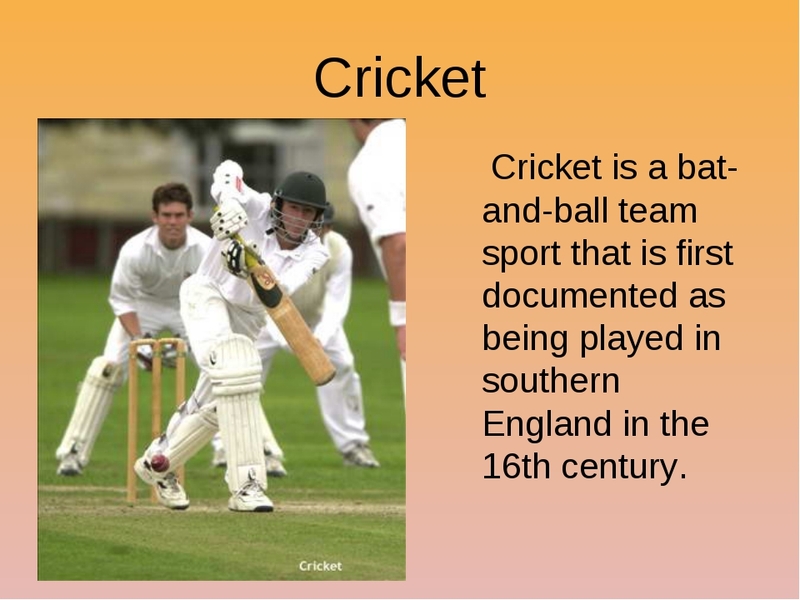 Some writers on Britain have talked about the British desire "to belong", and it is certainly true that the pub, or the working man's club, or the numerous other clubs devoted to various sports and pastimes play a very important part in many people's lives. Many people make their social contacts through work and, partly as a result of it, the profession is also important aspect of their sense of identity. 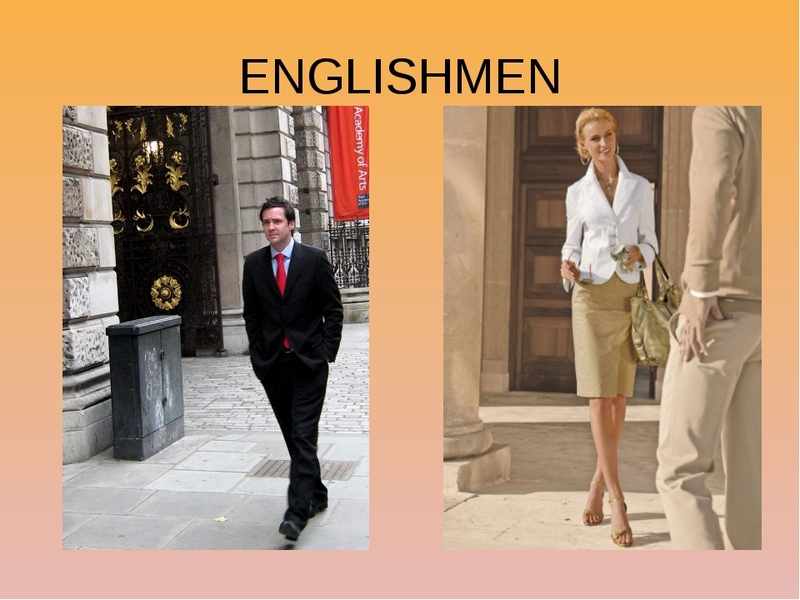 British people try to appear as if they belong to as high class as possible, though nobody wants to be thought of as «snobbish». The British have few living traditions and are too individualistic to have the same everyday habits as each other. They are rather proud of being different. However, this does not mean that they like change. They don't. They may not behave in traditional ways, but they like symbols of tradition and stability. 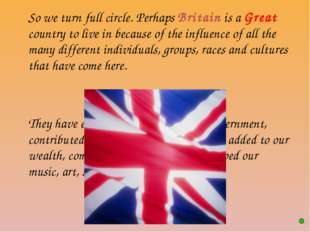 The British are rather conservative and their conservatism can combine with their individualism. Why should they change just to be like everyone else? Indeed, as far as they are concerned, not being like everyone else is a good reason not to change. Their driving on the left-hand side of the road is a good example to this. Systems of measurement are another example. The British government has been trying for many years to get British people to use the same scales that are used nearly everywhere else in the world. But everybody in Britain still shops in pounds and ounces. The modern British are not really chauvinistic. Open hostility to people from other countries is very rare. If there is-any chauvinism at all, it expresses itself through ignorance. Most British people know remarkably little about Europe and who lives there. The popular image of Europe seems to be that it is something to do with the French. 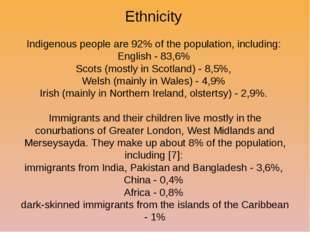 It is probably true that the British, especially the English, are more reserved than the people of many other countries. They find it comparatively difficult to indicate friendship by open displays of affection. For example, it is not the convention to kiss when meeting a friend. Instead, friendship is symbolized by behaving as casually as possible. The British are comparatively uninterested in clothes. They spend a lower proportion of their income on clothing than people in most European countries do. Many people buy second-hand clothes and are not at all embarrassed to admit this. Of course, when people are "on duty", they have to obey some quite rigid rules. A male bank employee, for example, is expected to wear a suit with a tie at work. But on Sundays the British like to "dress down". They can't wait to take off their respectable working clothes and slip into something really scruffy. 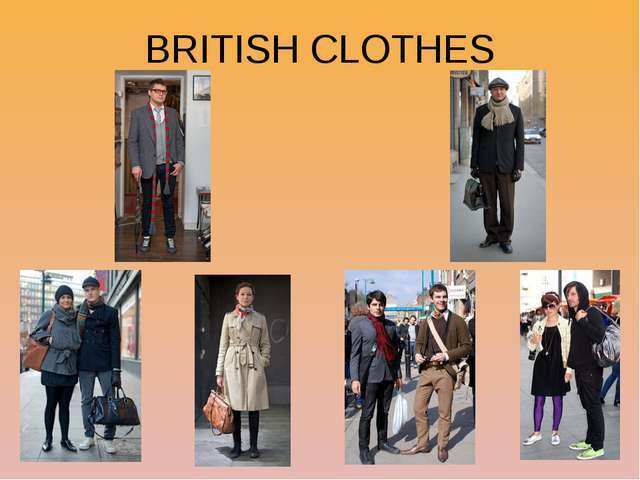 In fact, the British are probably more tolerant of "strange" clothing than people in most other countries. The English people are great pet lovers. Practically every family has a dog or a cat, or both. They have special dog shops selling food, clothes and other things for dogs. There are dog hairdressing saloons and dog cemeteries. Millions of families have "bird-tables" in their gardens. Perhaps, this overall concern for animals is part of the British love for nature. The British are always talking about the weather. Unlike many others, this stereotype is actually true to life. But constant remarks about the weather at chance meetings are not the result of polite conventions. They are not obligatory. Rather, they are the result of the fact that, on the one hand, to ask personal questions would be rude while, at the same time, silence would also be rude. The weather is a very convenient topic to "fill the gap". «The Englishman’s home is his castle»2 is a well-known saying, and it is true that English people prefer small houses, built to house one family, perhaps with a small garden. But nowadays the shortage of building land and inflated land values mean that more blocks of flats are being built especially by the local councils. About 80 per cent of British people live in houses. About 67 per cent of the people in Britain own their own houses or flats. Most of the rest live in rented accommodation (2 per cent live in sheltered accommodation). People in Britain buy houses or flats because there is not enough rented accommodation and what there is can be expensive. In towns, there are three main types of houses: detached, semi-detached and terraced. A detached house, standing on its own plot of land, is usu­ally more expensive than the others. A semi-detached house (also called a semi) is similar, but shares one wall with its neighbour, which is its "mirror image". 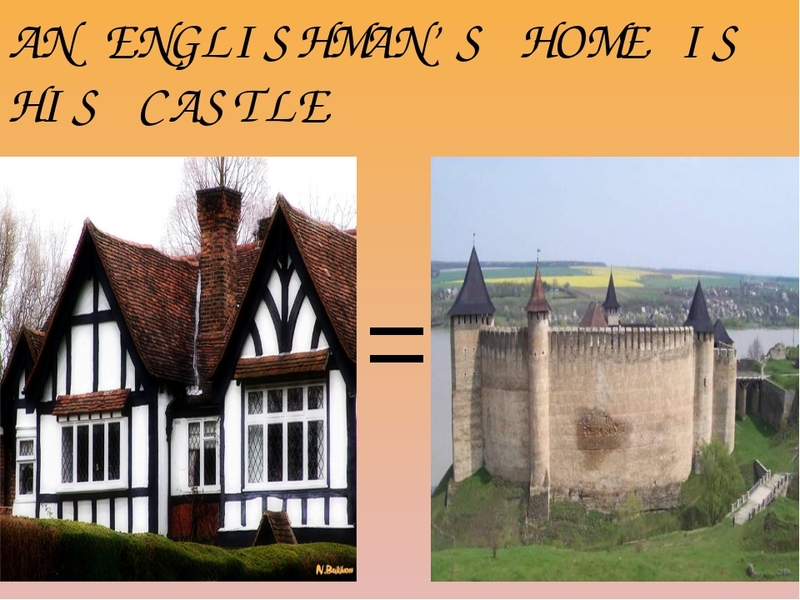 It is usually smaller than a detached house. Most of these houses have two storeys, with two rooms and a kitchen downstairs and the bedrooms and a bathroom upstairs. A terraced house (or terrace-house) is one of a row of houses, often built in blocks of four or more and sometimes extending the entire length of a street. Bungalows (single-story detached houses) are popular, especially with eld­erly people because there are no stairs to climb. They are often found in seaside towns on the south coast, where many retired people live. Houses of all kinds can also be found in country villages, but the tradi­tional country dwelling is the cottage. This is usually a small, old, de­tached or semi-detached house, often with old wooden beams inside, and perhaps a thatched roof and an attractive flower garden. Cottages were originally simple homes of country people, and often had no running water or other facilities. Today, many of them have been modernized and are regarded by some people as ideal homes, not only for their "character" but also for their attractive rural setting. Some of the grandest of all houses are found in the country. These are large country houses or stately homes, which in some cases are still oc­cupied by members of the land-owning families who originally built them. Many such houses are of historical and architectural importance, and stand in extensive grounds. Old or architecturally interesting houses may be designated as listed buildings by the government. also been converted into flats. Flats may be owned by the people who live in them, or rented from a private land­lord or some local authority. 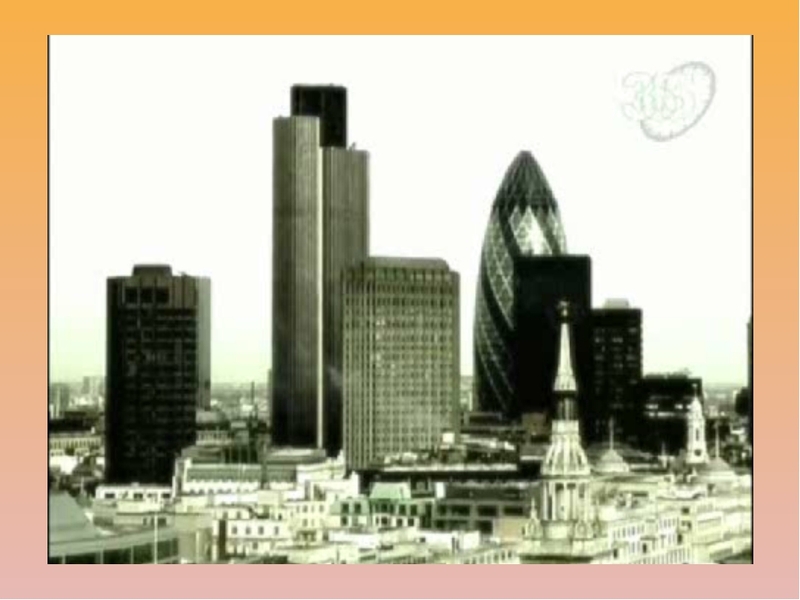 Local authorities are the main providers of rented accommodation. TECHNOLOGY IN THE HOME Many homes in Britain now have electrical and electronic aids and instruments that would have been unimaginable a quarter of a century ago. The percentage of British homes with various types of equipment such as television sets, washing machines, telephones, freezers (including fridge-freezers), videocassette recorders (VCRs), microwave ovens and personal computers is very high. Nearly seven homes out of ten also have a car, and the majority has a radio. Kitchen and domestic appliances also found in many homes include electric or electronic clocks, toasters, kettles, blend­ers, mixers and vacuum cleaners. Many homes contain more specialized equipment such as audio equipment (especially music centres, audio systems and compact disc players) and home computers (including word processors). 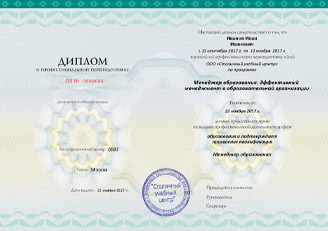 Computers are used for work (or a hobby or interest) and for recreation, in the latter case mostly in the form °f children's computer games. As more and more people are working from home, an increasing number of households now have fax machines, operating over the telephone line, as well as answering machines for the tele­phone itself. TOWN AND COUNTRY Some people in Britain have an idealized picture of rural life. People dream of owning a cottage in the country or retiring to live there, and they try to create the country in town by the way they decorate their houses and plan their gardens. While only about one per cent of the working population is now employed in agriculture, there is a greater tendency for people to live in the country and commute to towns to work. Many self-employed people now work at home, with facilities like the computer and fax machine, and this| may be an increasing trend. Life in a rural community is very different from life in a town3. The amen­ities that are taken for granted in town, such as shops, schools, banks and public libraries often do not exist. 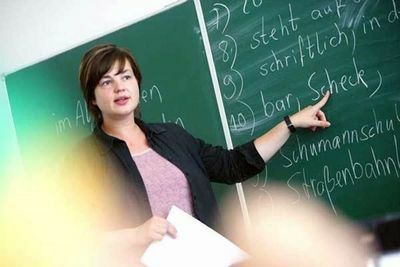 The nearest secondary school may be miles away. Remote communities have to pay more for goods because of transport costs. 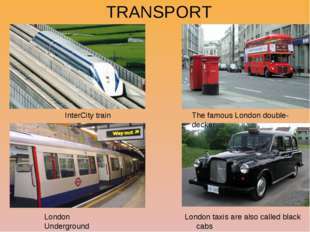 Public transport is often sparse or non-existent and owning a car may be essential. City-dwellers who move to the country may have an idealized view of life there and find it difficult to adapt. Local people may resent those who have come from cities, especially if they are week­enders who buy a house and only occupy it at weekends. On the other hand life in the country has much compensation. In a vil­lage, the sense of community is much greater than in a large town, the village pub is a friendly meeting place and the proximity of the countryside provides a better quality of life, free from the stresses and strains of city life, with its daily struggle to work and back and its noisy and dirty en­vironment. TRADITIONAL BRITISH Britain has some excellent traditional food: lamb from Wales, shellfish and fresh salmon from Northern Ireland, fresh or smoked fish from Scotland, cheeses from England and Wales. Unfortunate­ly good English food is difficult to find. Only 2 per cent of restaurants in London serve British food. There are many more Italian, Chinese and Indian restaurants. Foreigners often criticise English food. It's unimaginative, they say. It's bor­ing, it's tasteless. What can compare with fresh peas or new potatoes just boiled (not overboiled) and served with butter? Why drown spring lamb in wine or cream or yoghurt and spices, when with just one or two herbs it is absolutely delicious? Restaurants serving British food tend to be very expensive and found in luxury hotels, or cheap and nasty serving mainly fried food. You can eat a good British meal without spending a lot of money by going to a pub. Most pubs now serve good value hot and cold meals. They often have family areas where people under 16 can sit and eat. 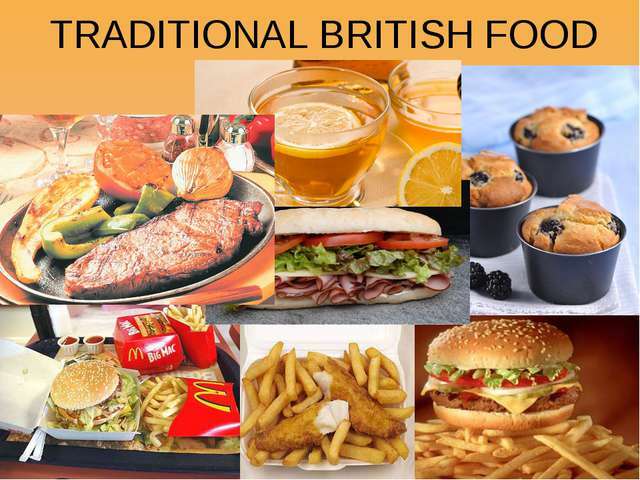 Traditional British food, with its emphasis on puddings, pies, cakes, meat dishes and fried food, no longer forms a main part of most people's diet because of the trend towards lighter, more easily prepared food. Traditional methods of preserving meat and fish, such as salting and smoking, are no longer necessary and food such as kippers (smoked herrings), salt pork and beef, and bacon are eaten less frequently than before. Nevertheless, many traditional dishes survive, especially those associated with special occasions. There are many regional dishes, usually named after a county, such as Lancashire hotpot, roast beef and Yorkshire pudding, and Cornish pasties, which are popular all over the country. There are many different kinds of regional cheese, including the best-known, Cheddar, as well as Cheshire, Leicestershire, Double Gloucester, Caerphilly, Wensleydale and Stilton, each with its own distinctive colour, flavour and consistency. Welsh rarebit is a popular dish of toasted cheese. The British have always liked meat dishes, from the traditional roast beef to popular favourites such as bangers and mash (sausages and potatoes), shepherd's pie (also called cottage pie), toad in the hole (sausages baked in batter), steak and kidney pudding, mixed grill, steak, and bacon and eggs. Scot, land has its traditional haggis. It is the most widely celebrated of all Scottish dishes because it is always served at Burns Suppers, popular annual gatherings within Scotland to recall Scotland's national poet, Robert Burns. Beef, lamb, mutton, pork and chicken are the most common kinds of meat. Sauces that traditionally accompany meat are mint sauce for lamb, horseradish sauce for beef, apple sauce for pork and cranberry sauce for turkey. Fish and chips is a favourite fish dish, although fish fingers and fishcakes are also popular, especially with children. Kippers are eaten either f0r breakfast or supper. Plaice, cod, herrings and mackerel are the most com­mon kinds of fish. Trout and salmon are usually considered a luxury, especially when they have been smoked. Eggs are eaten boiled, fried, poached or scrambled, with boiled eggs usu­ally preferred soft, and traditionally cooked for three minutes. Potatoes (spuds) are one of the most common vegetables, served either as chips, roast or mashed potatoes, or baked in their skins (jacket potatoes). Breakfast often begins with fruit juice, followed by cereal to which milk and sugar are added. Some people, especially in Scotland, still prefer porridge to cereal, and eat it with milk and sugar or salt. A traditional English breakfast also includes a cooked dish such as bacon and eggs, but few people eat this nowadays, preferring a lighter continental breakfast. Toast and marmalade, and tea or coffee, complete the meal. Puddings of all kinds are typically British, and the word itself can describe both savoury and sweet dishes, or mean simply dessert in general. Among the best-known sweet dishes are rice pudding, bread-and-butter pudding, steamed pudding, suet pudding and Christmas pudding. Plum pudding (which does not contain plums) is another name for Christmas pudding. Other familiar desserts are fruit-based ones such as apple pie or gooseberry fool. English people eat a lot of pies — for tea, on picnics, in the pub. A lot of pies have meat in them, but there are vegetable pies, too. Most pies can be eaten hot or cold. If they are eaten cold, you often have a salad with them. An English salad is usually lettuce, tomatoes, cucumbers, spring onions and radishes, with salad dressing. There are fruit pies, too. They are often eaten with custard or cream. Some pies are just big enough for one person, others are family size. But they all have pastry on the top and something nice inside. There are many varieties of bread and cake. Bread is white and brown. There are different kinds of loaf, including the specially shaped cottage loaf and cob loaf. For a continental breakfast, many people now prefer French-type rolls such as croissants. For tea, crumpets, muffins, toasted teacakes and buns are often eaten, es­pecially in winter. Otherwise bread and butter with jam, honey, meat or fish paste or some other spread is usual for the meal. A cake can be large, needing to be cut or sliced, or small, for one person. Gingerbread is not bread but a ginger-flavoured cake. Bath buns, Chelsea hurls and doughnuts are all made from bread dough. The many different kinds of biscuit include chocolate digestive biscuits, ginger buts and custard creams. Water biscuits or cream crackers are usually eaten with cheese. 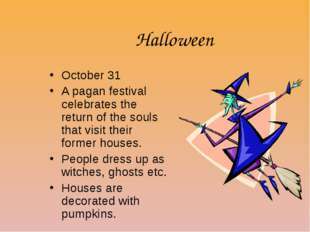 Some foods are traditionally prepared for a particular festival or celebra­tion. 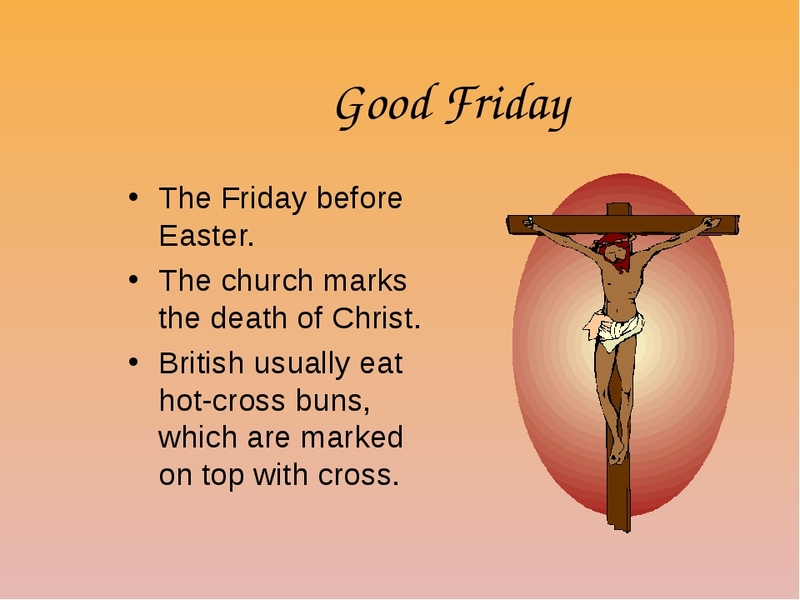 Christmas pudding is eaten at Christmas, pancakes are often served (as a sweet course, with lemon and sugar) on Shrove Tuesday, and hot-cross buns are eaten on Good Friday. Special big cakes are prepared for weddings and birthdays. Wedding cakes are usually elaborately iced and decorated, with two or more tiers; birthday cakes are also normally iced, with the person's age shown by the number of small candles stuck in the icing. The British enjoy eating sweets, especially chocolate, and the many pop­ular types of confectionery include toffee, marshmallows, mints and boiled sweets. Sticks of rock are traditionally popular in holiday resorts, as are ice cream, candyfloss and other "fun foods". VEGETARIAN FOOD About 10 per cent of British people are vegetarians. If you are a vegetarian, eating out is quite easy in Britain because there are quite a few restaurants. Unfortunately, there are very few good chefs who specialise in vegetarian cuisine, which means that most vegetarian food is rather boring. FAST FOOD People in Britain are more likely to eat fast food than go out to eat in a posh restaurant. A hamburger and French fries is the most popular fast food in Britain. The most successful fast-food restaurant in Britain is the American chain, McDonald's. But not all fast food is the American. Kebab houses, often run by Greek or Turkish Cypriots, are also vеry popular. The traditional British fast-food meal is fish and chips. Fish and chip shops are most popular in the fishing ports of Scotland. This is certainly the cheapest way of enjoying the taste of the very freshest of fish. Note that in Scotland a portion of fish and chips (the fish is usually haddock or whiting) is called a fish supper, even when it is served at lunch-time. Other fast-food outlets include shops, offering healthily prepared potatoes with a variety of fillings. By tradition, the British national drink is tea. It is drunk not only on its own but with or after meals, from breakfast to supper and from early in the morning (often in bed) to last thing at night. The tra­ditional way to make tea is in a teapot, which is first warmed with hot water. When the pot is warm, very hot water is poured onto the tealeaves, and the tea is allowed to "brew" for a few minutes before being poured out. Most people drink tea with milk and many add sugar. In recent times coffee has become much more popular and for many people has replaced tea as the usual drink. It has always been served as an after-dinner drink, when it is often drunk black, i.e. without milk, and cafes and coffee shops serve "morning coffee" in the middle of the morning. Other hot drinks are those made with milk, e.g. cocoa, hot chocolate and drinks sold under brand names such as Horlicks or Ovaltine. They are often drunk as a non-alcoholic nightcap, especially in winter. Children often drink milk when adults drink tea or coffee. Among alcoholic drinks, beer is traditionally the most popular in Britain, especially with men. There is a wide variety of places to go when you want to eat out in Britain. In the most expensive restaurants and hotels, the style of cooking is often French and the menu is usually written in French, often with an English translation. 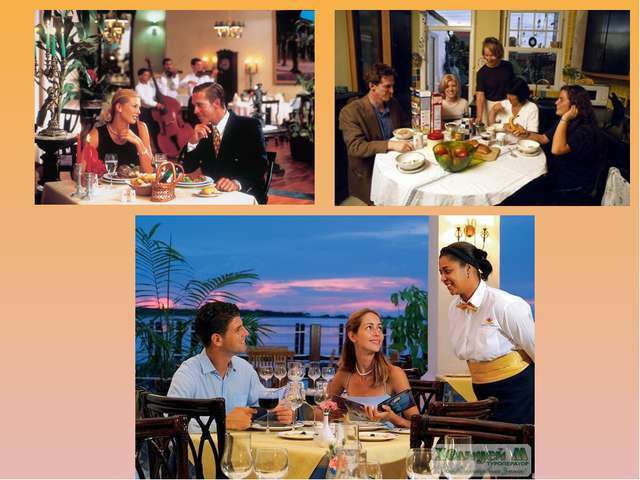 Almost all hotels have a restaurant where non-residents can have lunch or dinner, and a lounge where they can have tea, coffee or a drink before the meal. Most towns have a variety of restaurants offering the cuisine of several different countries, with Indian, Chinese and Italian restaurants the most popular. In London especially it is possible to eat the food of most coun­tries in the world. Most of these ethnic restaurants are owned and run as small family businesses4. Many British people, if they go for a meal or buy a takeaway, go to their local Indian or Chinese restaurant. There are 8000 Indian restaurants in Great Britain and most towns, however small, have one. Indian restaurants serve food from India, Pakistan and Bangladesh. North-Indian food is the most common: spicy curries cooked in oil and served with rice or different types of bread. South-Indian food is often vegetarian since most southern Indians are Hindu and eat little or no meat. Most Chinese restaurants serve Cantonese food, including lunchtime snacks called dim sum: steamed or deep-fried dumplings, with either savoury or sweet fillings. Chinese and Indian restaurants are facing strong competition from Thai restaurants in Britain. The cuisine is a mixture of Indian and Chinese food, with dishes ranging from hot to mild often using coconut cream. Other restaurants are part of a chain, for example Berni or Harvester, and offer a standard menu throughout the country. Most of these are primarily steak bars with a choice of other dishes also available. They are often lo­cated in old or even historic buildings in town centres. Almost all pubs now offer food, which may be snacks bought at the bar or meals in a separate dining area. Certain pubs have gained a reputation for their excellent food and service, and a guide to good pubs is now published annually in addition to the guides to good hotels and restaurants. Wine bars also serve meals or snacks with a wide selection of wine, where­as in pubs beer is the main drink. Fast-food restaurants serving American-style pizzas and hamburgers are very popular, especially with children and young people. There are fewer cafes than there once were, but they can still be found in most towns. They provide a cheap place to have a cup of tea or a meal and are usually open all day. Another feature of British life found less frequently nowadays is the fish and chip bar or shop, where you can buy fried fish and chips to eat at home. Other kinds of takeaway meals are provided by Chinese, Indian or pizza restaurants. Many towns, especially those in popular tourist areas, have tea shops. Al­though they mainly provide afternoon tea, with scones, buns and cakes, many also serve morning coffee and lunch. Tea shops are often in old buildings and the atmosphere is old-fashioned. There are also coffee shops open throughout the day, which serve food as well, mainly cakes and bis­cuits rather than full meals. One of the cheapest places to eat is a snack bar, a type of cafe. It may lot serve meals at all, but only tea and coffee, with food such as rolls, soup and sandwiches. The buffets at railway stations are often similar, although many serve alcoholic drinks as well. There are eating places for the motorist on main roads and motorways. They are usually large fast-food restaurants that belong to a chain and have largely replaced the road­side cafes (also called transport cafes) that were used especially by long-distance lorry drivers. In Britain, there are traditional regional costumes, and styles of dress associated with particular jobs or social groups. Wales and Scotland each have a national costume, although there is no English one. Welsh national dress is seen on such occasions as the annual Llangollen Eisteddfod5. Women wear full skirts, laced bodices, colourful shawls and a distinctive tall crowned black hat, while men have bright waistcoats and flat black hats. The Scottish Highland dress, worn by both sexes and based on each clan's distinctive tartan, is considered the Scottish national dress. For men it includes a tweed jacket, a tartan kilt and tartan stockings, with a fur or leather sporran. Women's dress is similar, but with a tartan skirt in place of the kilt. Scottish costume is worn at many national events, such as the Highland Games, but also for everyday use by some Scots. A form of dress similar to the Scottish one is also worn by the Irish on ceremonial or formal occasions, showing the common Celtic and historical link between the two people. As in most countries, members of particular professions and occupations often wear special dress. 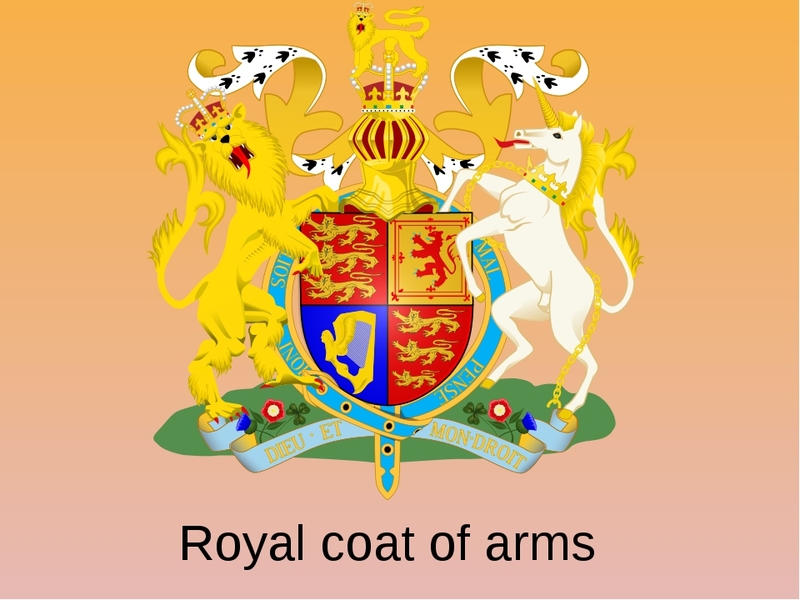 Among those regarded as distinctively British are the dark blue helmet and uniform of the policeman, the ceremonial red tunics and busbies of some army regiments, the 16th-century scarlet uni­form of the Beefeaters (yeomen of the guard), the gown and mortarboard of university students, and the wigs worn by judges. To this one could add the bowler hat, pinstriped trousers and rolled umbrella that were at one time almost a uniform for civil servants and City businessmen. Many independent schools have distinctive uniforms, such as the Eton suit worn at Eton, or the boaters (straw hats) worn at Harrow and at some girls' schools. Some state schools also have uniforms, with boys wearing a dark jacket or blazer, grey or black trousers, and white shirts, with a school tie. Girls usually wear a dark-coloured jumper and skirt with a white or pale-coloured blouse. The blazer, whether dark blue or with bright stripes, is a distinctive gar­ment still worn by many present and past members of schools, colleges and sporting clubs, with the institution's crest on the breast pocket. Blaz­ers without a crest are worn as casual wear, as are tweed sports jackets. As well as a blazer, many groups and clubs have a striped or crested tie to be worn by members. Some schools and colleges have more than one tie, for example for members of a particular team or club, or for former members ("old boys"). It is the old school tie that traditionally serves as an identifying link between former members of a public school, and is sometimes regarded as a symbol of the upper-class outlook and attitudes of the wearer. Items of clothing that are linked with particular social groups are the flat cap associated with the working-class men and the more rounded cap worn by the "country gentlemen". Although the British normally dress casually, there are still a few occasions when people like to dress up formally. Many weddings, for example, are very formal, with men wearing morning dress and women wearing extravagant hats. Women also usually wear hats at events where members of the Royal Family are present. 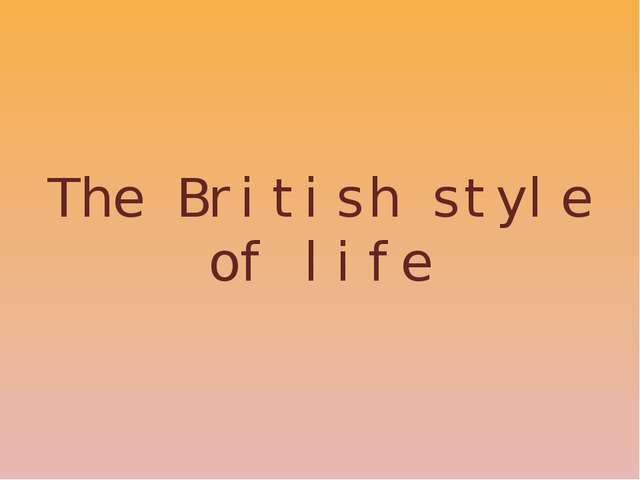 Despite the constant changes of fashion and highly developed fashion industries in Britain, the majority of people wear casual and simple dress, with such garments as sweatshirts, jeans, denim jackets and training shoes (or trainers) worn by both sexes. Britain has two main types of shops: those that are part of a chain or a group, and those that are individually owned. 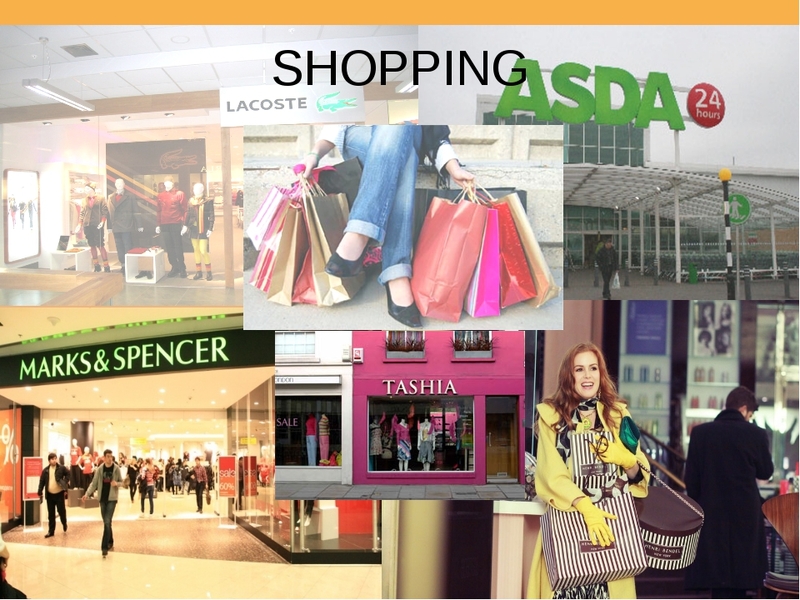 Chains such as Woolworths, Marks and Spencer, Boots and W H Smith have branches in most towns and cities. Woolworths sells a wide range of goods, from cheap jewellery to ironmongery and gardening equipment. Marks and Spencer sells clothes (for men, women and children) and food. More people buy their clothes there than at any other shop. Boots, originally a chemist's shop, now sells many other things as well, including electrical goods and kitchenware. W H Smith sells newspapers, magazines, stationery, books and records. London and other large cities also have large department stores. Harrods in London is one of the largest in the world and boasts that it can sup­ply anything a customer orders. Other famous London department stores are Selfridges, Fortnum and Mason, famous for its luxurious food de­partment, and Liberty, famous for its fabrics, especially its art nouveau prints. A typical high street in a smallish town in Britain will contain a mixture of chain stores, individual shops, building societies and banks. The indi­vidual shops sell goods that are also available in larger shops, but often pride themselves on the quality of their goods and service. Typical exam­ples of such shops are clothes shops, cake shops (many of which also have tearooms), butchers, bakers, gift shops, shoe shops, newsagents (which also sell sweets), antique shops, chemists' shops, pet shops, greengrocers, china and glassware shops, delicatessens, jewellers, bookshops, florists, hairdress­ers, furniture and carpet shops, and shops that provide services such as opticians and estate agents. Most towns also have a gas and an electricity showroom, where bills can be paid. A special kind of general shop is the corner shop, so called because it is often on a street corner in a part of town where there are no other shops. It is similar to a newsagent's, but has a wider variety of goods, including food and drink, cleaning materials, stationery, etc. In rural areas a similar shop is called the village shop, often the only shop in a village. Like the corner shop it normally stocks a mixed range of goods and may also be the local post office. The usual opening hours for shops are 9.00 am until 5 pm. Some places have an early closing day when the smaller shops close at midday on one day of the week. Newsagents open much earlier, and corner shops, too, often open early and close late in the evening. Chain stores usually have the normal opening hours, but supermarkets, which sell mainly food, often stay open until 8.00 or 9.00 pm. On Sunday almost all shops are closed, with the exception of newsagents which are open in the morning to sell Sunday newspapers6. The present laws on Sunday trading are complicated and permit only certain kinds of goods to be sold. 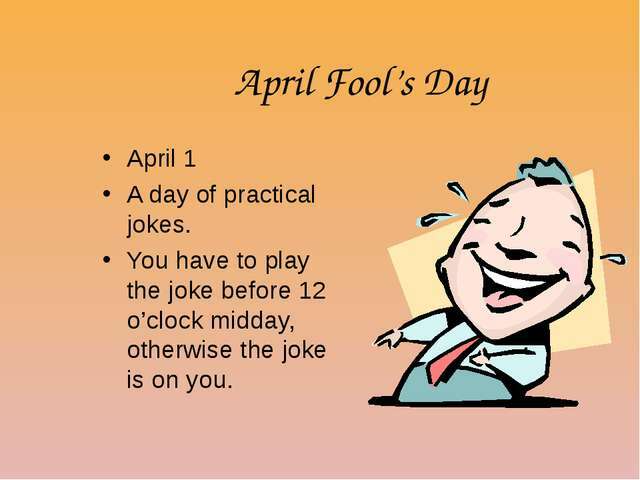 Chemists are allowed to open (usually for two hours) late on Sunday morning, and wine shops (called off-licences) may also open at this time as well as in the evening. The largest type of shop in Britain is called a hypermarket or superstore, which is a supermarket on a large scale and is usually situated outside a town, where there is a space for a large car park. Many supermarkets have cash dispensers, petrol pumps and a cafe. 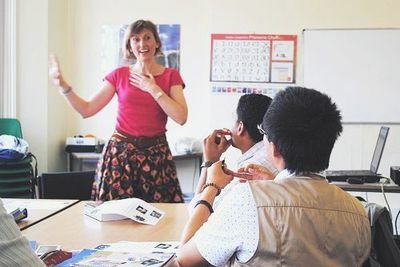 People use their free time to relax, but many people also do voluntary work, especially for charities or political parties, or further their education by attending evening classes or working for a degree at the Open University. A lot of free time is spent at home, where the most popular leisure activity is watching television, the average viewing time being 25 hours a week. Many families have a second television set so that different programmes can be watched or so that children can watch separately from their parents. People often record programmes on video so that they can watch them later, and video recorders are also widely used for watching videos hired from a video rental shop. Reading is also a favourite way of spending leisure time and many people borrow books regularly from their local library to read at home. The British also spend a lot of time reading newspapers and magazines, they buy more of them per head than any other nation in the world. Most daily and weekly newspapers include at least one daily crossword puzzle to satisfy a widespread demand among their readers for this form of pastime. In the summer gardening is popular, and in winter it is often replaced by do-it-yourself, when people spend time improving or repairing their homes. Many people have pets to look after; taking the dog for a daily walk is a regular routine. Some leisure activities are mostly or entirely social. Inviting friends for a drink or a meal at home is the most usual one7. Keep-fit classes are often an opportunity to meet friends. For many people a regular evening out is something to look forward to, whether it is joining friends for a drink in a pub, or dining out at a restaurant. A visit to a pub often includes a game, for example bar billiards or darts. The most popular time for drink­ing or dining out is Friday or Saturday evening, when the working week is over. 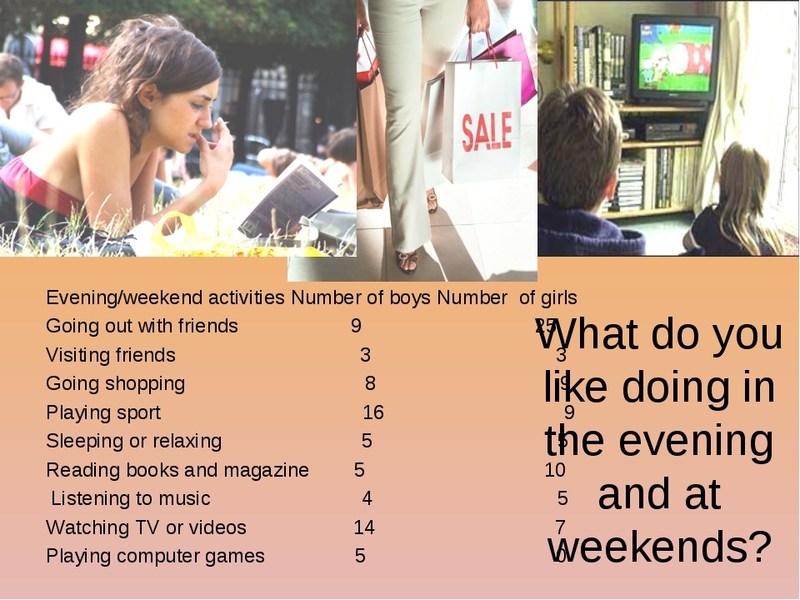 The extra leisure time available at weekends means that some leisure activities, many of them to do with sport, normally take place only then. Traditional spectator sports include football, cricket, horse racing, motor racing (including stock-car racing) and motorcycle racing. 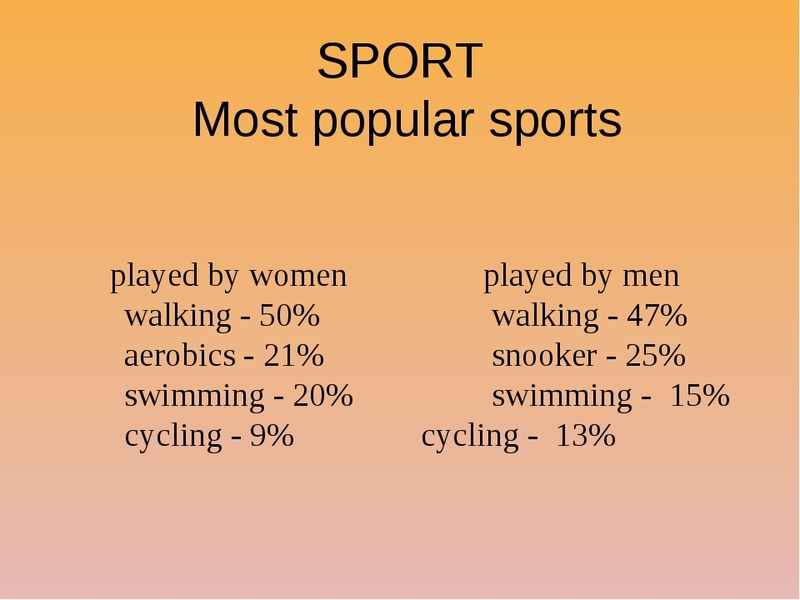 Popular forms of exercise are swimming, tennis, ice-skating or roller-skating, cycling, climbing, and hill or country walking. Families often have a day out at the weekend, especially in summer, with a visit to a local event, such as fete, festival, fair, or show. A country show is an agricultural event centred on the judging of cattle, sheep, etc. but also with a wide range of other attractions to give fun for all the family. These may include displays of show jumping, go-kart racing, country dancing, tug-of-war contests, children's fancy dress competitions, para­chute jumping, a brass band or other musical groups, and demonstrations of crafts as well as stalls with goods for sale. Family visits to country houses, leisure parks, wildlife resorts or the seaside are also popular. 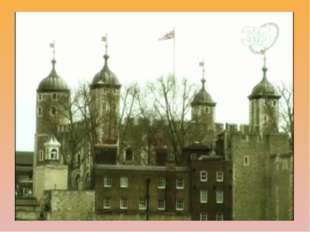 Older people often go on day trips by coach, sightseeing or shopping. 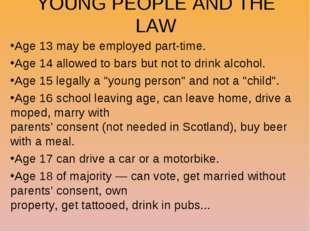 Young people especially go to clubs and discos, while people of all ages go to the theatre, the cinema, art exhibitions and concerts. 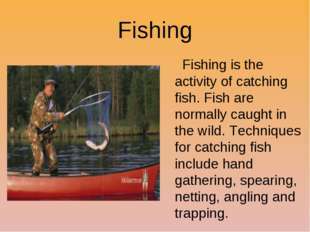 SPORTS The most popular national sports is fishing which Englishmen always name "fishery" (angling) because the pledged word sounds more solidly, meaning certain professional skills and skill. The most part of Englishmen obviously prefers fishing to football. 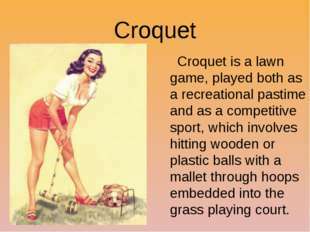 However the true love of Englishmen to sports is shown in supervision over those who, actually, and is engaged in sports. Such supervision gives vent to all their clamped emotions and provides stability and calmness in that public group to which they belong. Set of football fans are ready to sit at the TV though all night long, having reserved by a bag of a crackling potato and without being afraid of bags under eyes that in 44th time to look repetition of any especial scoring chance. Even if it is too expensive for them to pay regularly the special sports channel, all of them will equally buy to the children comic book, devoted to a favourite soccer team, how many it cost and how many time its maintenance varied. Especially persistent fans will by all means seem on tribunes personally to suppress opposition or to push aside its representatives from lateral lines. Often it occurs at minus temperature, a ten-mark gale or constant threat of a downpour. But to football fans weight at all! The football fan is accustomed to defeats and even feels a certain masochistic pleasure when its favorite team receives on a teeth or if will carry, manages to pull out a drawn game at more toothy the opponent. The exception is made by admirers of popular club "Manchester United" who expect from the command of exclusively prizes and awfully are upset, when it is impossible. At «Manchester United» there are more than fans, than at any other club in the world. Each number of their magazine is sold by inconceivable circulation - only on Taiwan buy 30 000 copies! Britain's transport and communications infrastructure is developing rap­idly. There has been a considerable increase in passenger travel in recent years - in Great Britain it rose by 29 per cent between 1984 and 1994. Travel by car and van rose by 38 per cent and air travel was up by roughly two-thirds. However, travel by motorcycle, pedal cycle and by bus and coach has been declining. In all, car and van travel accounts for 87 per cent of passenger mileage within Great Britain, buses and coaches for about 6 per cent, rail for 5 per cent and air 1 per cent. A Road User's Charter was published in April 1994, setting out the stan­dards expected of the Highways Agency on motorways and trunk roads. These cover matters such as safety and security on the road network, maintenance and improvement of the network, and answering queries and complaints. The oldest roads in Britain are the straight roads built by the Romans. Stretches of Roman roads remain today as the basic for modern highways. Examples are the A12 road from London to Colchester and the A33 from Winchester to Basingstoke8. Most Roman roads fell into disuse when the Romans left Britain, and bridleways for horses and their riders took their place. Roads remained basic tracks until the mid-18th century, when hard-surface roads began to be built. These in turn were neglected through much of the 19th century, when railways were widely developed, and modern road-making began only in the early 20th century with the coming of the motorcar. Today Britain has roads of three main types: motorways, A-roads (major motor routes) and B-roads (or minor routes). The most important roads radiate from the major cities, especially London, and it is from London that the key motorways run. Central government is respon­sible for A-roads and motorways. B-roads and other roads are built and maintained by local authorities. Traffic on trunk roads (A-roads) and motorways has been growing rapidly, and at present such roads carry not only large numbers of cars but many heavy lorries, often called 'juggernauts'. This increase has resulted in frequent hold-ups on motorways, especially the M25, where traffic is often seriously delayed. This is a problem that has yet to be satisfactorily solved, but many by-passes and relief roads have been built to take heavy traffic away from the centre of towns and cities, and most new roads apart from motorways are of this type. In Britain, more than any other European country, maintain a commitment to steady old traditions, way of life, habits. It affects many aspects of material and spiritual culture of the population. It remains, for example, the British desire to live apart, in a separate house, which is reflected in the planning of residential buildings. Folk costume is still in some areas of Scotland. It consists of a white linen shirt with collar, plaid knee-length skirt in big folds (kilt), a short woolen jacket with lapels and plaid that pounced on one shoulder. Legs put on socks and thick coarse shoes with metal buckles, and on his head - a dark beret with a broad checkered band. Kilt and plaid made from a special tartan cloth - tartan, or plaid, used every Scottish clan had its own color of this tissue. In conclusion I want to say that there isn’t the same country as Britain in the world. Those vaunted traditions, about which so many people write in books about England, especially the persistently stored in the public life of the peoples of the British Isles. Dictionary of Britain/Adrian Room. — Oxford: Oxford University Press, 1987. Dictionary of Cultural Literacy, The: What Every American Needs to Know / E. D. Hirsch, Jr., Joseph F. Kett, James Trefil. - Boston: Houghton Mifflin Company, 1988. In Britain / Michael Vaughan-Rees, Peter Bystrom, Steve Bateman. — Lon­don: Chancerel International Publishers, 1995. Longman Dictionary of English Language and Culture. — Harlow, Essex: Longman Group UK Limited, 1992. Oxford Advanced Learner's Encyclopedic Dictionary. — Oxford: Oxford Uni­versity Press, 1995. Paul, Anthony. A Guide to the English-Speaking World. — Harlow and Lon­don: Longman Group Limited, 1980. Webster's New World Encyclopedia. Pocket edition. Newly revised and up­dated. - New York a.o. : Prentice Hall, 1993. World Almanac and Book of Facts 1996. — Mahwah, New Jersey: Funk & Wagnalls Corporation, 1996. 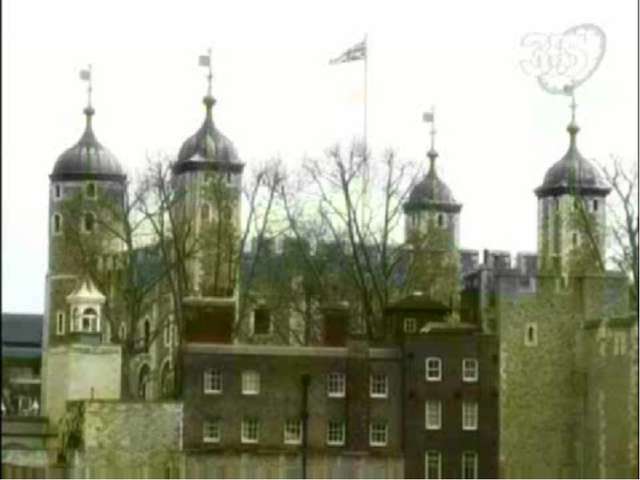 Великобритания: Лингвострановедческий словарь/A. P. У. Рум, Л. В. Ко­лесников, Г. А. Пасечник, А. В. Петрова, Е. Ф. Рогов, И. А. Сапрыкин, В. И. Славин, Н. А. Тимофеева; Под ред. 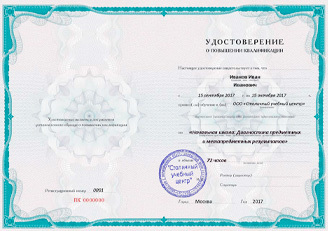 Е. Ф. Рогова. — М.: Русский язык, 1978.
Who is a member of a typical British family? How looks after the older generation? How many per cent of British people live in house? What is the most famous British food? How often the British eat fast food? What is the most famous British fast food? What call a candy made of sugar or molasses boiled down? What is the traditional British drink? Are the British polite? Why? 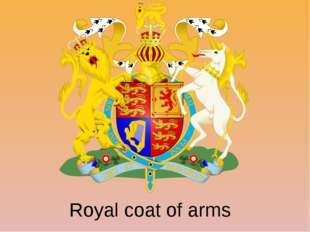 Are the British reserved or communicative? Why are the British people said to be conservative? What traditional British ceremonies do you know? What are traditional British dishes? What do the British like to drink? Do the British keep everything in order? 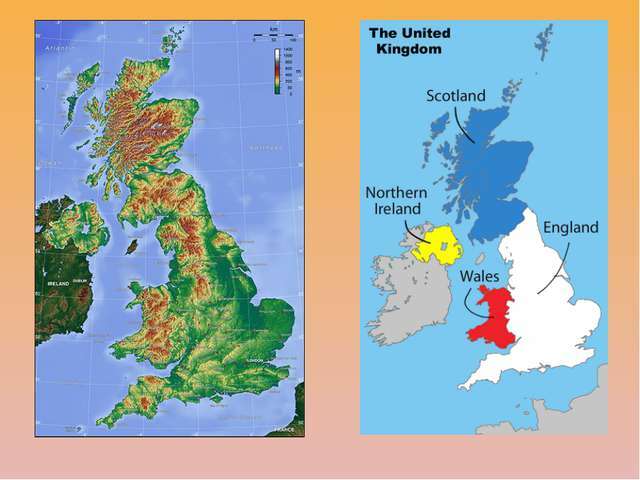 Do the British like their countryside? What is their attitude towards animals? Can you describe the British using 3 adjectives? 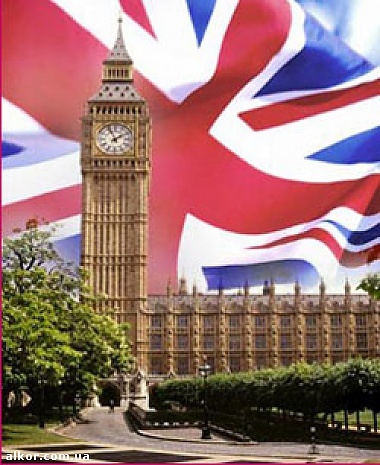 What is your personal attitude towards the British? How different or alike do you think the Russians and the British are? 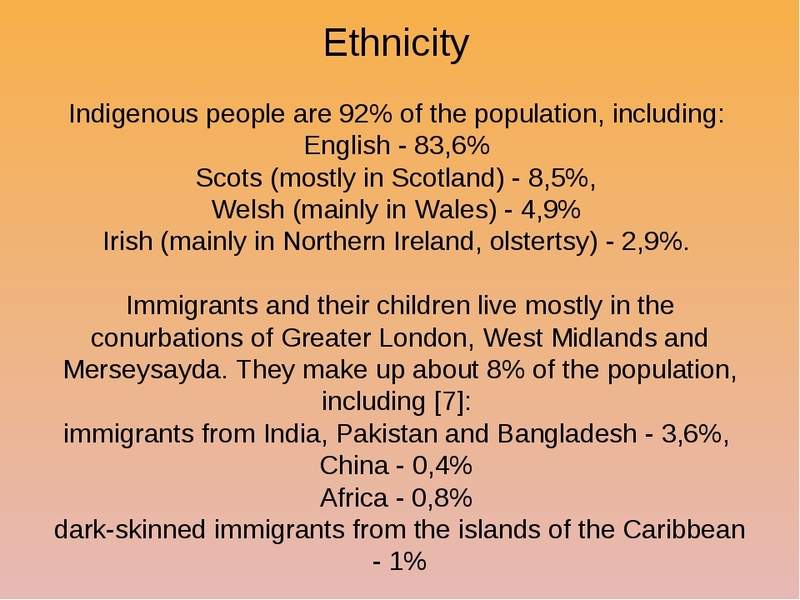 What stereotypes of the British national character do you know? 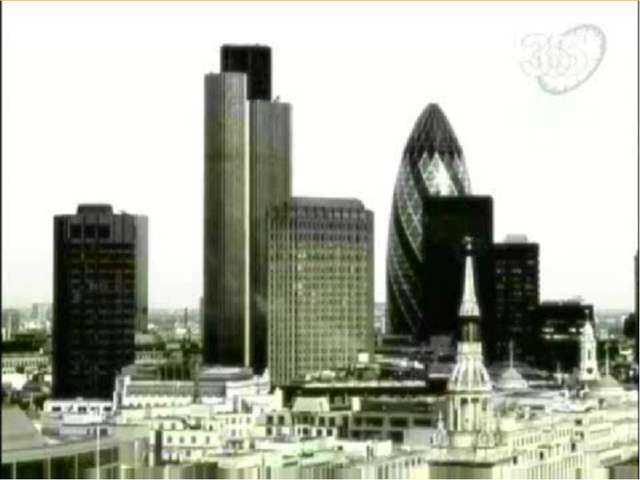 Do the British like change? Can you give any examples of the British conservatism? 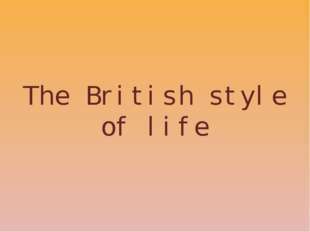 What is the attitude of the British people towards clothes? Do the British like animals? Why do the British always talk about the weather? How often the British go to the shop? Where the British buy clothes? 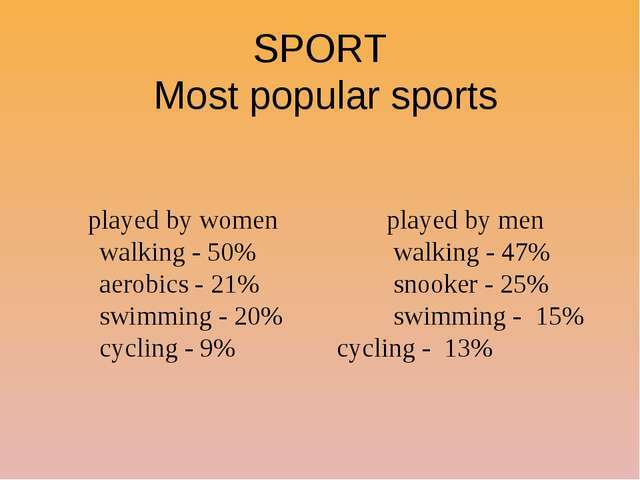 What is the most popular national sport in Britain? What are minimum ages for riders of mopeds? What are minimum ages for drivers of cars? 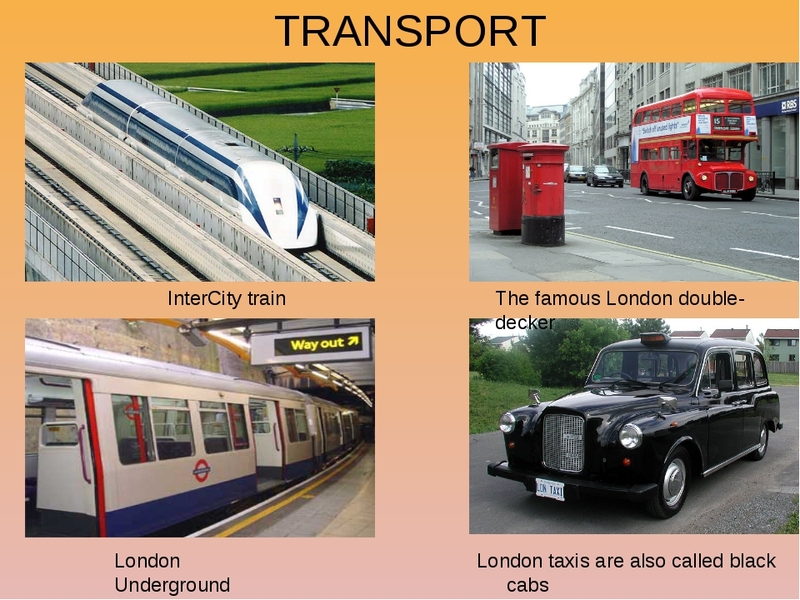 What else the British call taxis? 1 Г. Д. Томахин «Дом англичанина – его крепость», издательство «Просвещение», P. 7, 2002. 2 О.А.Леонович «Страноведение Великобритании», издательство «Книжный Дом Университет», P.185, 2009. 3 «Великобритания», Большая российская энциклопедия. Т. 5. 2006. 4 Г.Д.Томахин «Дом англичанина – его крепость», издательство «Просвещение», P. 102, 2002. 5 Майол Э., Милстед Д. Эти странные англичане, М.: Эгмонт Россия Лтд, P.72, 2001. 6 Г.Д.Томахин «Будни и отдых британцев», издательство «Просвещение», P. 23, 2002. 7 Г.Д.Томахин «Будни и отдых британцев», издательство «Просвещение», P. 38, 2002. 8 Г.Д.Томахин «Будни и отдых британцев», издательство «Просвещение», P. 78, 2002. 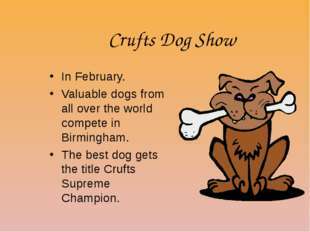 Crufts Dog Show In February. 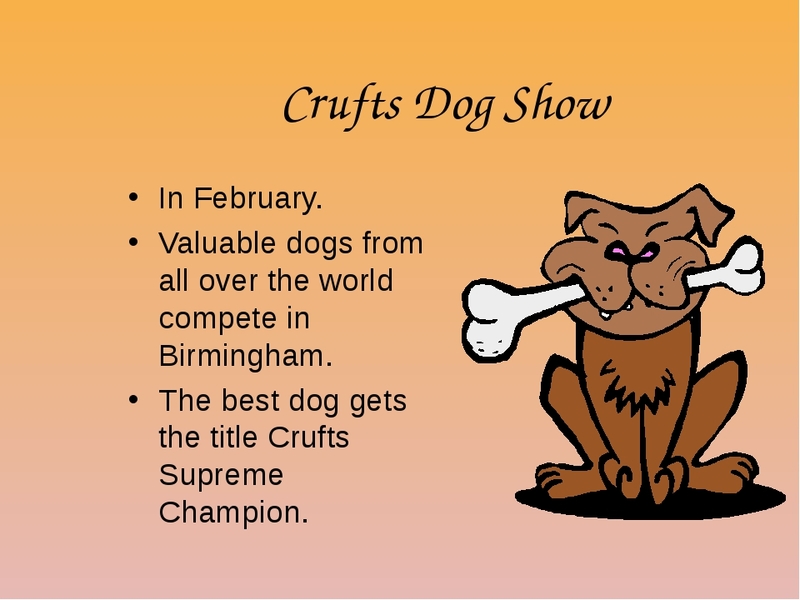 Valuable dogs from all over the world compete in Birmingham. The best dog gets the title Crufts Supreme Champion. 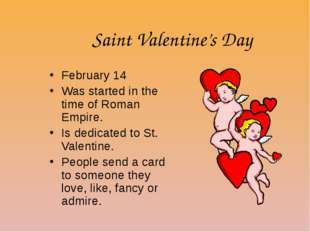 Saint Valentine’s Day February 14 Was started in the time of Roman Empire. Is dedicated to St. Valentine. People send a card to someone they love, like, fancy or admire. The Boat Race In March A rowing race between the universities of Oxford and Cambridge. 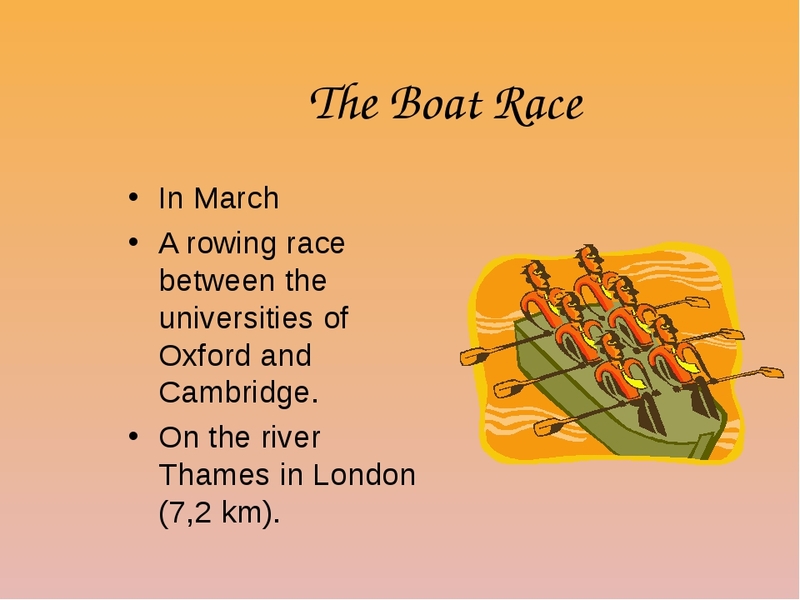 On the river Thames in London (7,2 km). Pancake Day In March The last day before Lent. 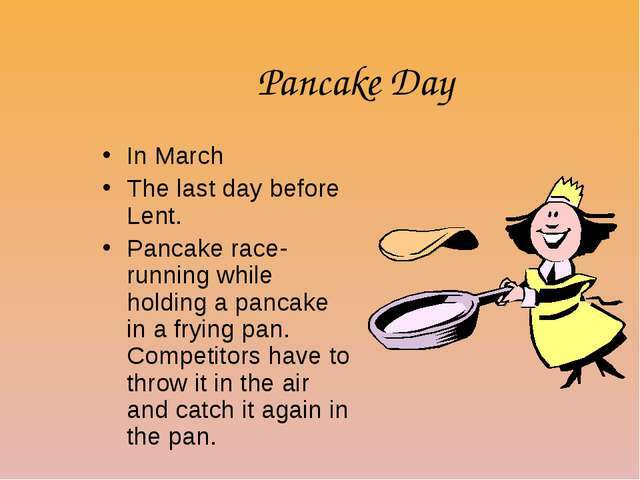 Pancake race-running while holding a pancake in a frying pan. Competitors have to throw it in the air and catch it again in the pan. 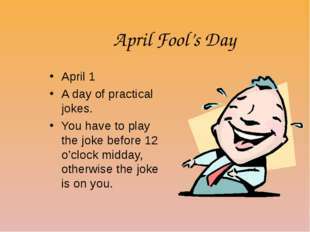 April Fool’s Day April 1 A day of practical jokes. You have to play the joke before 12 o’clock midday, otherwise the joke is on you. Good Friday The Friday before Easter. The church marks the death of Christ. British usually eat hot-cross buns, which are marked on top with cross. Easter In April. 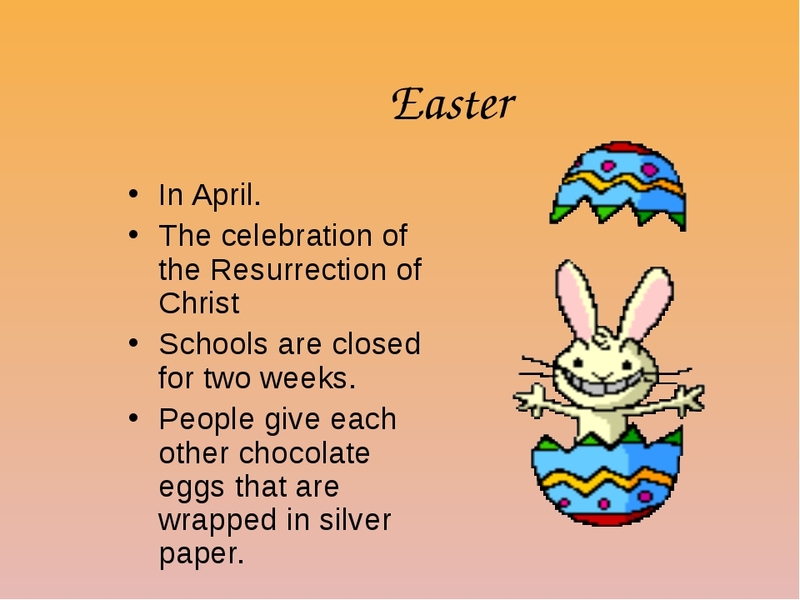 The celebration of the Resurrection of Christ Schools are closed for two weeks. People give each other chocolate eggs that are wrapped in silver paper. 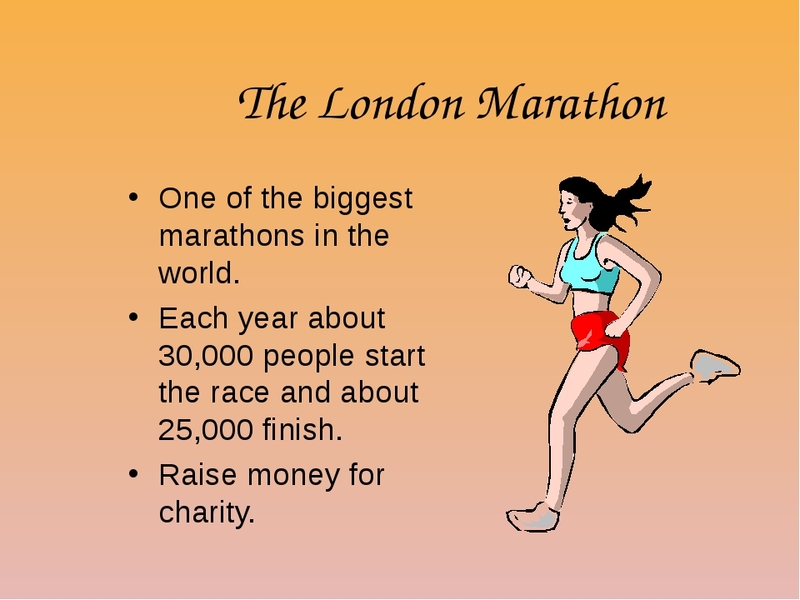 The London Marathon One of the biggest marathons in the world. 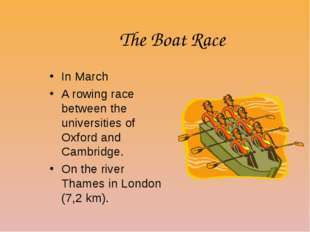 Each year about 30,000 people start the race and about 25,000 finish. Raise money for charity. Wimbledon The last week of July and the first week of June. 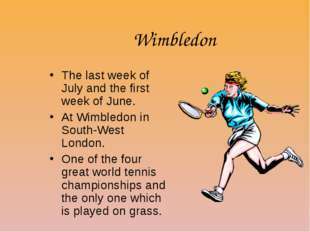 At Wimbledon in South-West London. 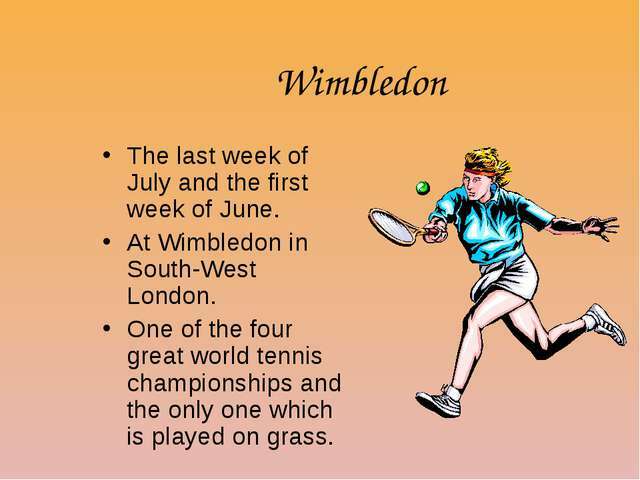 One of the four great world tennis championships and the only one which is played on grass. 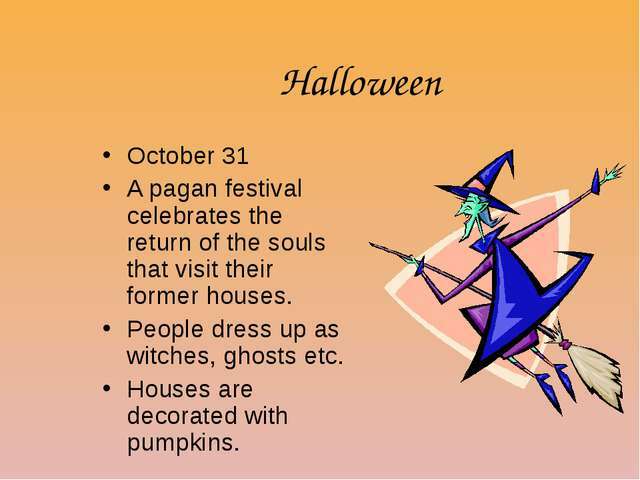 Halloween October 31 A pagan festival celebrates the return of the souls that visit their former houses. People dress up as witches, ghosts etc. Houses are decorated with pumpkins. 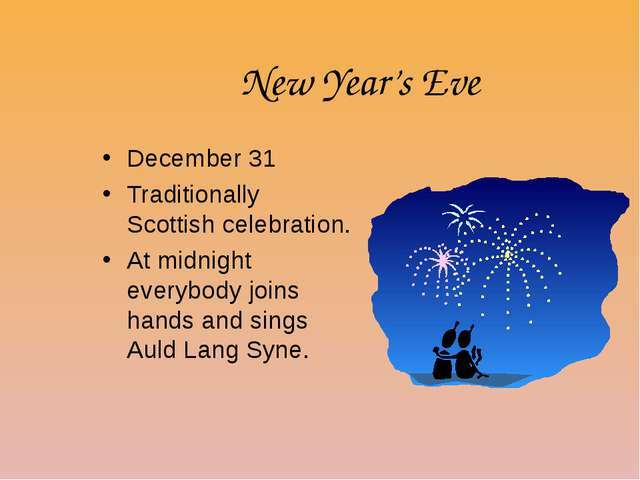 New Year’s Eve December 31 Traditionally Scottish celebration. At midnight everybody joins hands and sings Auld Lang Syne. 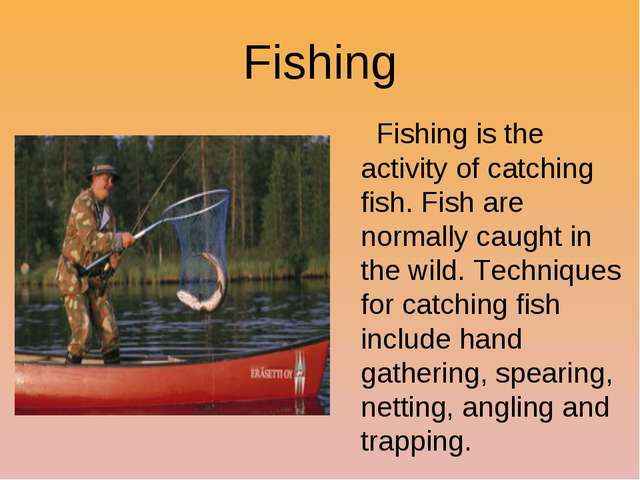 Fishing Fishing is the activity of catching fish. Fish are normally caught in the wild. Techniques for catching fish include hand gathering, spearing, netting, angling and trapping. 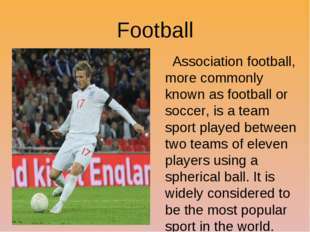 Football Association football, more commonly known as football or soccer, is a team sport played between two teams of eleven players using a spherical ball. It is widely considered to be the most popular sport in the world. Cricket Cricket is a bat-and-ball team sport that is first documented as being played in southern England in the 16th century. Croquet Croquet is a lawn game, played both as a recreational pastime and as a competitive sport, which involves hitting wooden or plastic balls with a mallet through hoops embedded into the grass playing court. So we turn full circle. Perhaps Britain is a Great country to live in because of the influence of all the many different individuals, groups, races and cultures that have come here. They have established our systems of government, contributed to our pursuit of knowledge, added to our wealth, commerce and industry, and shaped our music, art, sport and diet. Центральным тезисом работы является утверждение о том, что дом для англичанина - его крепость. Авторами изучены различные источники информации на русском и английском языке (учебники, современные газеты и журналы, телевизионные новости, программы), найдено много интересных фотографий, описывающих жизнь британцев. 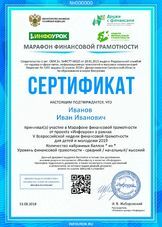 Информация проанализирована и систематизирована. Составлены вопросы, чтобы помочь учащимся познакомиться с фактами лучше. Составлен словарь трудных слов, чтобы знакомство с работой было приятным. Подготовлена мультимедийная презентация, чтобы показать главные аспекты проектной работы.